Colombo, Sri Lanka -- With the hectic lifestyle and chaos in the present world many of us are caught in a dilemma, being unable to identify priorities in life. Certain people fail to reconcile the unrest surrounding them thus falling into the abyss of frustration and disappointment. Fortunately there still are groups consisting of academics, professionals and spiritual leaders who have identified the pathetic situation and are formulating strategies and paths to heal the needy. The Damrivi Foundation at Isipathana Mawatha, Colombo 05 is one such organisation. 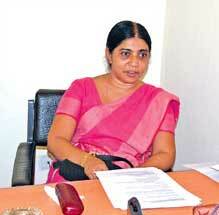 The woman behind the cause is Dr. Manjula Vidanapathirana. Despite her busy schedule as a Senior Lecturer at the Department of Psychology, Colombo University Dr. Vidanapathirana spends her leisure and pleasure hours to serve the needy voluntarily at the Damrivi Foundation. “There is a need for counselling throughout the world and it is growing in different angles. Sri Lanka is no exception. The increasing number of school dropouts, youth unrest, trauma due to war situation and the tsunami and many others have led to a psychological imbalance in many people that we come across,” Dr. Vidanapathirana said. We draw lot of inspiration from Buddhism to promote values, balanced viewpoints and education while safeguarding the Buddha Sasana and dissemination of the Dhamma, she said. Having obtained her PhD from the University of London and MA in Buddhist and Pali Studies she says it was one of her childhood dreams to serve the common man in the association of her father who is a well known personality in the same field Sarath Nanayakkara. “But there was no opening earlier and I’m happy now the path is clear to discharge my duty for the country,” Dr. Vidanapathirana added. Being in the teaching panel at Damrivi she said: “Counselling could be at a very small scale but more importantly it imparts education in a very systematic way through Buddhist insight”. People from all sections of society are following courses here. So far nearly 100 students have followed the one year Diploma programme since the inception of Damrivi two years ago and the fifth course started recently. The course includes lectures with Western psychological inputs along with Buddhist and cultural insights and therapies, discussions, role playing, relaxation and other therapies including meditation techniques. Lectures are delivered by leading psychologists, psychiatrists and Buddhist academics. Apart from that once a month group discussions are held with past students, professionals and the panel, she explained. She said the main project is developing study courses and conducting professional training based on Buddhist psychotherapy and providing professional counselling with Buddhist insights. Conducting meditation retreats, leadership training programmes, training Bhikkhunis and nuns to counsel women in distress, providing scholarships to needy children, training tour guides with a knowledge of Buddhism and history, are among other projects. Counselling sessions are conducted throughout the week free of charge for the needy. “The Damrivi Foundation is committed to spiritual, social and economic development through Buddhist insights and setting up a professionally managed organisation with modernity and to facilitate networking of organisations and individuals with similar interests. Those interested can help the Foundation by identifying and formulating projects, providing expertise for implementing projects and donations,” said Dr. Vidanapathirana. The Foundation can be contacted through damrivi@sltnet.lk.